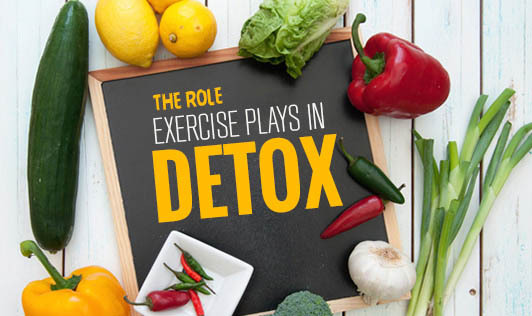 Detoxification, or in simpler words, cleansing is a very important process that keeps our system naturally protected against infections and ailments. Induce Perspiration: Skin is the most obvious medium from where toxins are flushed out from the body, in the form of sweat. So, when you find yourself puffing while pumping the iron, you should feel good that you have kicked out a fair amount of nasty toxins from your system. Enhance Metabolism: Exercises promote metabolic processes and help the body evacuate toxins through the colon. Easy bowel movement is a sign of good digestive health. Increase Oxygen Flow to the Body: When you workout, your breathing becomes elevated. You are actually inhaling more oxygen in the process, thus, ensuring that ample oxygen reaches all parts of the body, especially the brain. Promote Enzymatic Activity: Physiological processes in the body are the result of numerous enzymatic functions. These enzymatic reactions ensure that the nutrients are well-assimilated during and after exercise. Promote Good Hormone Health: The reason behind feeling light and energetic after exercising is due to the increased activity of adrenaline and other brain chemicals that ensure good hormone health. Lesser toxins signify better health. A regular exercise routine helps in transforming into a healthier and happier person and enhances detox as well.